Animal Eye Clinic has been serving the Dallas/Fort Worth metroplex for over thirty years. We are always seeking motivated, talented and performance-driven people to add to our family. We value our employees and strive to retain our high performing staff with benefits and salaries that are very competitive with industry peers. 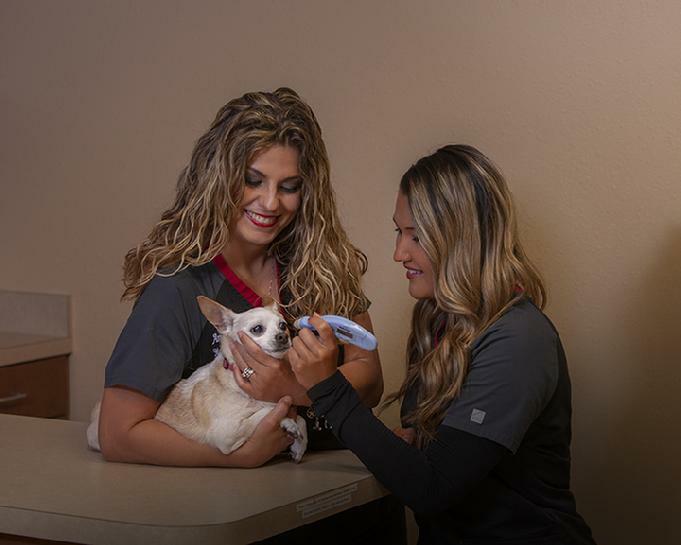 Animal Eye Clinic strives to improve our patient's quality of life through changing how they see their world. Animals, like humans, suffer from vision threatening eye diseases that need medical intervention, and we take that need seriously. Animal Eye Clinic focuses on providing ongoing training, and education opportunities that will build upon our staff's existing knowledge and skills to help further their careers. Because of this dedication, Animal Eye Clinic is in high demand. If you would like to join our team please download and complete the application below or simply email your resume to mwalke@texaseyevet.com.